New cellar doors and a swag of major trophies is helping to put the Langhorne Creek wine region on the map for a growing number of tourists. Grape growers in the Langhorne Creek region since the 1880s, the Follett family has won more than 50 trophies at major Australian wine shows since it started making its Lake Breeze wines in 1987. This year, Bleasdale Vineyards, the oldest winery in the region, has won seven trophies at major shows including the Max Schubert Trophy for best red wine at the Royal Adelaide Wine Show in September with its 2016 Generations Shiraz. “The industry has always thought highly of the region and we’re starting to get traction with the punters and we’ve been working a lot on product awareness and educating people about the region,” Goldsworthy said. This Sunday, Kimbolton Wines will join Bleasdale, Lake Breeze, Bremerton, Vineyard Road, Angas Plains, The Winehouse and Rusticana to become the region’s eighth cellar door. It follows the opening of the Vineyard Road cellar door in 2016. Run by brother and sister vignerons Nicole Clark and Brad Case, Kimbolton began making wine commercially in the early 2000s with a presence in the shared cellar door now known as The Winehouse, which is home to several local brands including Heartland, Ben Potts, Gipsie Jack and Meechi Brewing. Great, great grandchildren of Bleasdale founder and Langhorne Creek pioneer Frank Potts, Case and Clark run a 57ha vineyard, which includes a small part of the original Potts land and produces between 500-600 tonnes a year. Most of the Cabernet and Shiraz they grow goes to Treasury Wine Estate for its Pepperjack and Wolf Blass brands while alternate varieties such as Montepulciano are sent to smaller producers including Alpha Box & Dice and SC Pannell. 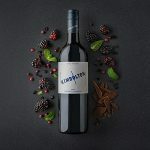 Small parcels of premium fruit are kept to produce Kimbolton Wines. Production is currently about 1500 cases a year but Clark said it was hoped the new cellar door would create demand for 3000-4000 cases a year within a couple of years. She said the cellar door would specialise in Cheese and wine flights. “Really it’s been the last three years that the label has really grown and we’ve got 12 different products under that label now and that’s really what made us decide to spread our wings and have a cellar door in our own right,” Clark said. Set among the gum trees and overlooking the vineyard, the new cellar door is gearing up for a busy summer season. 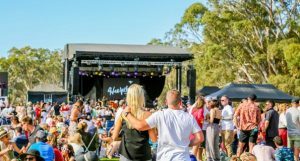 “People are starting to understand that we are only 50 minutes from Adelaide and it is a beautiful drive,” Clark said.